Blessed are those whose lives have integrity, those who follow the teachings of the Lord. Blessed are those who obey his written instructions. They wholeheartedly search for him. They do nothing wrong. They follow his directions. You have commanded that your guiding principles be carefully followed. I pray that my ways may become firmly established so that I can obey your laws. Then I will never feel ashamed when I study all your commandments. How can a young person keep his life pure? ⌊He can do it⌋ by holding on to your word. I wholeheartedly searched for you. Do not let me wander away from your commandments. I have treasured your promise in my heart so that I may not sin against you. Thanks be to you, O Lord. Teach me your laws. With my lips I have repeated every regulation that ⌊comes⌋ from your mouth. I find joy in the way ⌊shown by⌋ your written instructions more than I find joy in all kinds of riches. Be kind to me so that I may live and hold on to your word. Uncover my eyes so that I may see the miraculous things in your teachings. I am a foreigner in this world. Do not hide your commandments from me. My soul is overwhelmed with endless longing for your regulations. You threaten arrogant people, who are condemned and wander away from your commandments. Remove the insults and contempt that have fallen on me because I have obeyed your written instructions. Even though influential people plot against me, I reflect on your laws. What do you treasure? What is it that you value and cherish most in life? Perhaps it's people who you're close with, which is good, or it may be status or riches. 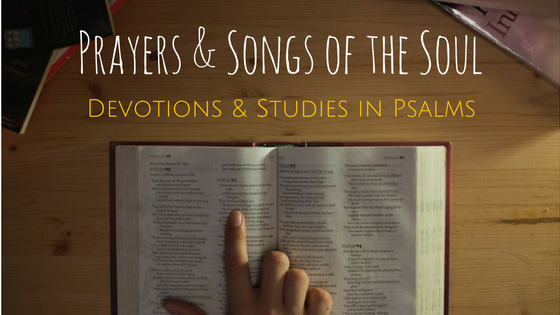 Psalm 119 is the longest of all the Psalms—176 verses! It's also laid out as an acrostic where each verse starts with the same letter in each stanza for all 22 characters of the Hebrew alphabet. The first 24 verses would be similar to the first three letters of the English alphabet—A, B, C—Aleph, Beth, Gimel. This ancient poetic form provided a structure that is memorable and instructional. Using the whole alphabet shows completeness, as the English expression goes—"from A to Z." Each stanza of eight verses reinforces the theme which focuses on the Word or Law of God and the God of the Word. Woven around this theme are confessions of faith and failure, pleas and prayers, and promises. These thoughts are intended to stir reflection and encourage meditation on the truth of God's Word and what it reveals about God Himself and His promises. Do you treasure the truth of God's Word in your heart? God's Word of truth can be a blessing to guide and strengthen you in daily life.